ZÜRICH--(BUSINESS WIRE)--Verity Studios AG, a pioneer in autonomous drones, has launched an integration program for their Failsafe technology for quadcopters. The patented Failsafe solution provides powerful and cost-effective safety enhancements to any consumer and commercial quadcopter drone platform. 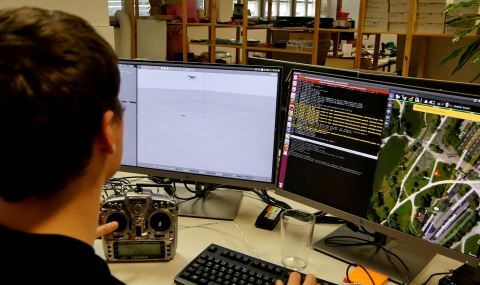 This program allows drone manufacturers to easily implement the Failsafe algorithm into their drones as a standalone or complementary safety solution to guard against the most common cause of system-error crashes: propulsion system failures. The vast majority of consumer and commercial drones in operation today are quadrotors, which have been widely adopted due to their overall efficiency. While many technological innovations have been developed to improve the aircrafts’ operational safety, such as “return to home” features and automatic obstacle avoidance, the majority of technical failures today are caused by a failure in the propulsion system (i.e., the loss of a motor controller, a motor, or a propeller). This is a technological challenge that even the largest companies in the drone industry have not solved. Against conventional engineering analysis, the team at Verity has now proven the ability to safely control and land a quadrotor after a loss of one, or even two, of its propulsion systems with an algorithm-only solution. This is a critical time in the drone industry. In January, the FAA proposed a significant reduction to the constraints of flying drones over people and at night, further confirming a future “sky full of drones” collecting data, delivery goods, and transporting people. Regulators clearly see that today’s drones still present safety challenges, and many commercial manufacturers are looking for advanced solutions to tackle these problems and enable the sustainable growth of this industry. The current state of drone regulation and adoption highlights the dire need for drone manufacturers to leverage all available technologies to ensure the safe operations of their drones; both fully autonomously and at scale. Verity’s Failsafe algorithm can be implemented into existing quadcopters flying in the air today through a simple firmware update. This code-based solution requires no additional hardware and adds no weight to the system, making it the lowest cost and highest efficiency risk-mitigation feature currently on the market. 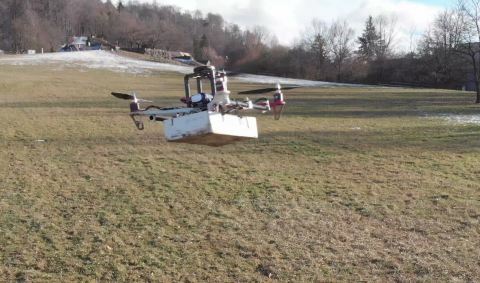 Led by robotics and AI expert Raffaello D’Andrea and originally developed to fly 2 lb. quadcopters on Broadway, the team at Verity has proven this technology in more than 7,000 flights over people. Verity is now offering its Failsafe algorithm to any drone manufacturer through custom integration. A reference design on PX4 with the Pixhawk autopilot is now available, simplifying the implementation process for drone manufacturers. Verity’s industry-first technology is the most effective solution for safe and reliable flight without compromising on flight time and payload capacity. Increasing drone safety with Failsafe technology is a critical step in bringing about the future of autonomous drone inspections, drone delivery, air-taxis and the advancement of the overall drone industry. “The failsafe technologies developed by Verity’s exceptional team were the main trigger for our investment. We are delighted and determined to support Verity in making this technology widely available.” Matthieu Repellin, Investment Partner, Airbus Ventures. Verity Studios is the global leader in indoor drone systems. Founded in 2014, the company has extensive experience in the creation of spectacular drone shows, providing unique performances for touring productions, resident shows, and one-off events. Verity’s drones have been used by some of the world’s biggest entertainment providers, including Cirque du Soleil and Madison Square Garden, and have performed on stage as part of global tours for major artists including Drake and Metallica. Verity has completed more than 100,000 autonomous flights safely above people, across more than 20 countries worldwide.